The “pay-go” rule is more proof that establishment Democrats would rather kneecap bold redistributive policies than embrace an emerging left-wing agenda. Pelosi and her fellow establishment Democrats are demonstrating that they’re content to turn back to the party’s cowardly past rather than meet the demands of the moment. Democrats have a long-standing aversion to the charge that they’re willing to run higher deficits to fulfill policy objectives. Yet again, they have codified this trepidation by passing a rule that will both hamstring anything resembling a progressive agenda while also locking in austerity. The so-called “pay-go” rule pushed by House Speaker Nancy Pelosi and Democratic leadership requires any new tax cuts or spending increases to be offset by budget cuts or tax increases elsewhere. On Thursday night, the House passed a rules package including pay-go. The implementation of such a rule will tie the hands of Democrats when trying to pass major initiatives, from Medicare for All to a Green New Deal, at the very time the party’s base is demanding just such bold proposals. By clinging to pay-go, despite calls from leading progressives to drop the rule, Pelosi and her fellow establishment Democrats are demonstrating that they’re content to turn back to the party’s cowardly past rather than meet the demands of the moment. In doing so, Democrats are proving to be their own worst enemy, embracing both bad economics and bad politics in order to fulfill the goals of a centrist ideology that has proven time and again to be an abject failure. Where did pay-go come from? If you want to get a sense of how conservative the pay-go rule is, just look to its inception. Created in 1990 under Republican President George H.W. Bush, pay-go was first introduced as part of that year’s Budget Enforcement Act in order to stave off increases in the deficit. While a number of mainstream economists, as well as former President Barack Obama, credit pay-go with helping to stabilize the economy and create a budget surplus in the 1990s, they often neglect to mention the negative effects of the austerity policies enacted during this period. President Bill Clinton’s 1996 welfare reform law, for instance, decreased federal spending but also led to a marked increase in deep poverty, especially among children. Whereas Clinton boasted about leaving office with a balanced budget, his successor George W. Bush would show no such preoccupation with fiscal prudence. Instead, Bush the second made clear that his Republican administration had no problem expanding the deficit, so long as spending went toward policies like handouts to the wealthy and endless war rather than measures that would materially improve most people’s lives. In 2002, during Bush’s first term, pay-go was allowed to expire and Bush proceeded to push through a number of deficit-exploding programs, including his infamous tax cuts for the rich through the Jobs and Growth Tax Relief Reconciliation Act of 2003. After Democrats regained control of Congress in 2007, the House of Representatives reintroduced the rule which guided legislation under then-Speaker Pelosi. In 2010, President Obama, who had previously advocated pay-go when serving in the Senate and when running for president in 2008, successfully pushed both chambers to take the policy up as law. It’s fair to credit Obama for criticizing the economic rationale of policies such as the Bush tax cuts. Handing out tax breaks to the rich is certainly reckless, after all. But the Obama administration’s dedication to deficit hawkery led figures including Treasury Secretary Tim Geithner and Chief of Staff Rahm Emanuel to make sure the economic stimulus package passed in the throes of the Great Recession was far smaller than what plenty of progressive economists of the time—including liberal darling Paul Krugman—recommended. In a new report, researcher Josh Bivens at the Economic Policy Institute explains that this muted stimulus helped lead to the drawn-out recovery from the financial crisis during which the rich have massively increased their wealth while low-income Americans continue to face low wages, increasing healthcare costs and a precarious job market. While pay-go was first introduced under a GOP president, Republicans have since resisted including the policy in House rules when they’ve held the gavel. The massive tax cuts passed under President Trump in 2017 put on full display the dishonesty of GOP figures such as House Speaker Paul Ryan and Senate leader Mitch McConnell who themselves have continually warned about the dangers of “reckless” spending. Of course, Republicans are perfectly happy to blow the lid off of the federal deficit if it helps achieve their agenda. Trump’s nearly $2 billion tax cut, which primarily benefits the wealthy and corporations, is a case in point. Now, congressional Republicans are using the resulting deficit increases to demand cuts to programs like Medicare and Social Security—other longstanding goals of the U.S. Right. As soon as the new Democratic House proposes any policy or program that skews the federal ledgers, the GOP is sure to resort back to the “tax-and-spend” allegations. With Pelosi’s pay-go policy, Republicans will have a new cudgel at their disposal: They can point out that such programs defy the very House rules that Democratic leadership put forward. This ability to force Democrats to adopt the language of deficit neutrality is one of the great successes of the U.S. conservative movement. While Republicans have used the federal purse strings to ruthlessly advance their reactionary agenda, since the presidency of Bill Clinton, Democrats have embraced the role of being the party of fiscal responsibility. This is a goal far more in line with the dictates of the National Review’s William F. Buckley than with progressive economists. And with good reason: Such deficit obsession is sure to stymie left-wing policies from gaining legislative traction. The language of deficit neutrality will always benefit the right wing, as it presupposes that spending taxpayer money on social programs and public goods is necessarily a risky measure that should be reined in. Yet, as has been shown time and again, deficit crises are often largely manufactured. And regardless of conservative pearl-clutching over red ink, the United States has always found enough funds to keep pumping money into the most expansive military on the globe. But spending the money generated by our society on things that will make people’s lives better—whether it’s improved healthcare, employment, education or transportation—is exactly what those who call themselves progressives should be pushing for. The fact that this is considered controversial shows just how far the mainstream political debate has skewed to the right. Voters in 2018 didn’t go to the polls to elect champions of fiscal restraint. Rather, what they said they wanted was more affordable and higher quality healthcare. In the midterms, states such as Idaho, Nebraska and Utah passed ballot initiatives to expand Medicaid while Kansas and Wisconsin elected new Democratic governors on their promises to expand the program. And across the board, voters cited healthcare as their top concern—for the first time in at least a decade. Many experts and clinicians, including the American Medical Association, agree that the most effective way to provide cheaper and better healthcare is through a single-payer, Medicare for All system which would expand coverage universally and eliminate the role of the private market. And the public has come around to the idea—a poll last year shows that 70 percent of Americans support Medicare for All. Passing such an expansive program that would affect—and essentially democratize—a sixth of the U.S. economy necessarily requires upfront costs. And as a result, it likely wouldn’t be able to pass under pay-go, since the rule requires budget offsets. Yet even a Koch Brothers-funded study shows that over a 10-year period, Medicare for All would actually save the country $2 trillion. Other programs such as a Green New Deal, which would provide universal, living-wage employment and massively expand the renewable energy sector in order to prevent climate devastation, would also pose immediate costs. But, ultimately, such a plan would transform the economy to serve the needs of the population over the long run. 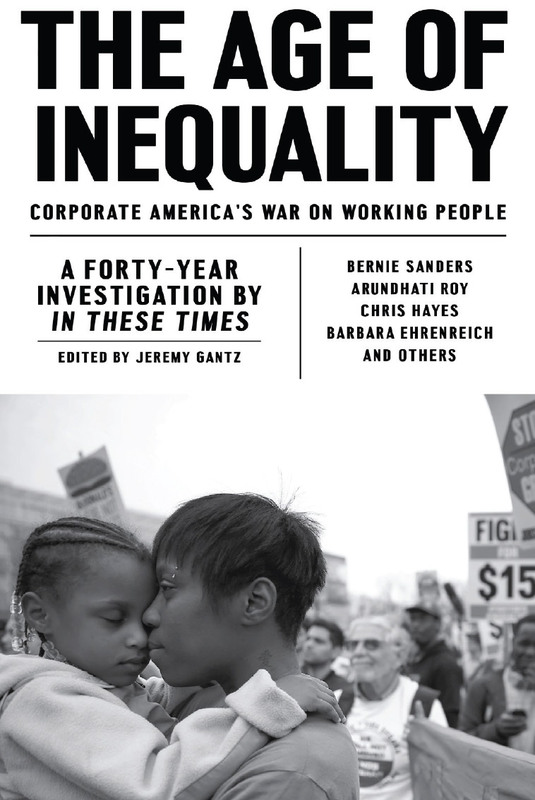 Ten years after the Great Recession, more and more Americans are now coming to see such inequities as integral to capitalism, and, for the first time, Democrats now view socialism more favorably. This growth in the popularity of socialism has coincided with swelling support for left policies, not just Medicare for All but also tuition-free college, the Green New Deal and a federal jobs guarantee. In 1935, the leftist Hungarian economist and writer Karl Polanyi wrote of the challenge facing governments, “Basically there are two solutions. The extension of the democratic principle from politics to economics, or the abolition of the democratic ‘political sphere’ altogether.” Polanyi posed the choice as one between an economically democratic, or socialist, system and one marked by anti-democratic authoritarianism. With Trump and his cabal of right-wing sycophants in power, alongside the growing popularity of stridently left politics, the choice appears to be the same in 2019. 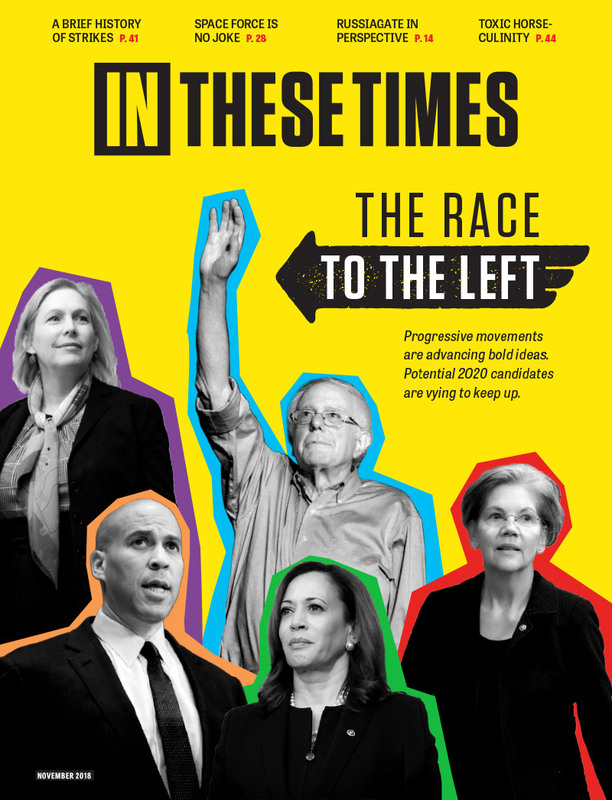 Democratic leaders should see the time as ripe to fully back left-wing policies that would draw a stark line in the sand between them and Republicans who would rather cut food stamps, turn Medicaid into a voucher program and eliminate the federal minimum wage. Figures in the Democratic Party establishment, however, would apparently rather begin their term in power by handcuffing progressive legislation. The fact that the corporate donors bankrolling many leading Democrats are fundamentally opposed to far-reaching left policies is likely one key reason. Pelosi herself has long been trepidatious about fully backing Medicare for All, while taking in more than $400,000 from the health sector over the course of the 2017-2018 election cycle. House Majority Leader Rep. Steny Hoyer, meanwhile, opposes Medicare For All while serving as the top Democratic recipient of donations from health insurance companies and the second highest from pharmaceutical companies from 2015 to 2016. But that’s not the whole story. Centrist ideology has long been so dominant in Democratic circles that institutionalizing deficit neutrality and avoiding the “tax-and-spend” label is now simply the establishment’s natural inclination. And it continues to be pushed forward by neoliberal think tanks including New Democracy and Third Way. While they made a lonely duo among House Democrats, Khanna and Ocasio-Cortez helped to reveal the hypocrisy of a party leadership that claims the mantle of progressivism while simultaneously undercutting policies that would actually pose a threat to corporate interests and the casino capitalist system that keeps them at the levers of power. The fact that Khanna and Ocasio-Cortez are willing to push back against this dominion of moderation is a heartening sign that the ascendance of left politics may open the door to challenging not just the centrist status quo, but the entire economic system on which it stands. Except of course to build bases in foreign nations, slaughter innocent people and hand the rich tax cuts which destabilize our economic parity. That sounds like a reason to refocus not retreat into failed policies and politicians. You just deleted my post ... why? GOP and DNC splinter groups will work together and in time hopefully they will control the house to the dismay of the power groups of both parties. Well, they could start with the THIRTY TWO MILLION DOLLARS AN HOUR they spend on war. THIRTY TWO MILLION AN HOUR to blow innocent people in other nations to smithereens, could be used instead to build our own nation to be the best, most progressive in the world. Every building could have solar power. We'd subsidize organic farms instead of big ag. We'd get real health care instead of the snake oil scam that's taken over, and we'd have an infrastructure that rivaled none. The US has PLENTY of money! We support over 900 military bases that destroy peoples' environment, (like Okinawa, for instance). STOP THE ENDLESS INVASIONS, SPECIAL OPS, AND MILITARY OPERATIONS THAT MAKE US LESS SAFE! MILITARISM is the elephant in the room in this article. Nary a mention of getting all the money anyone could ever need from the outrageously bloated WAR BUDGET! We could build communities instead of terrorizing them. But since both parties are endless war parties, that will happen right about the time pigs fly, or when the American sheeple wake up to the giant sucking sound of tax dollars rushing into the black hole of MILITARISM at the rate of THIRTY TWO MILLION DOLLARS AN HOUR. Sadly, my bet is on the pigs. The Democrats do not care about anything but getting rich. If they happen to win a few elections, well OK, as long as it doesn't get between the D's and their funders. The Washington Generals of politics is a gig they've come to enjoy. Democrats have to avoid that tax and spend label. Tax and spend is why Reagan came to power in 1981. People want tax cuts and they want the government to stop spending their money. just the sort of asholery that we don't need.